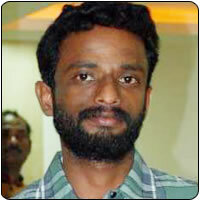 Director Pandiraj is riding on success with two back-to-back hits – Pasanga and Vamsam. He has one more reason to rejoice now – the birth of a boy. Pandiraj’ s son was born on October 18th 2010 at 10:30 am. The director had recently won the National award for Best Dialogue for the film Pasanga and several other prestigious awards at the national and international levels. Behindwoods.com and its readers wish the couple on the arrival of their son. Happy parenting!